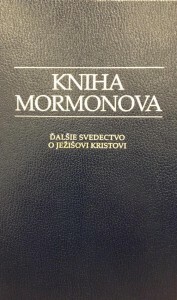 A translation of the Book of Mormon has now been published in the Slovak (Slovenčina) language. This will be a valuable resource to Church members and nonmembers who speak the language in Slovakia. The new language translation is available in hardcover through local Church distribution centers and online at store.lds.org (item 35606176) and at scriptures.lds.org. The book is also available on the Gospel Library mobile app and will soon be added to the Book of Mormon mobile app. See a list of the translations of the Book of Mormon.